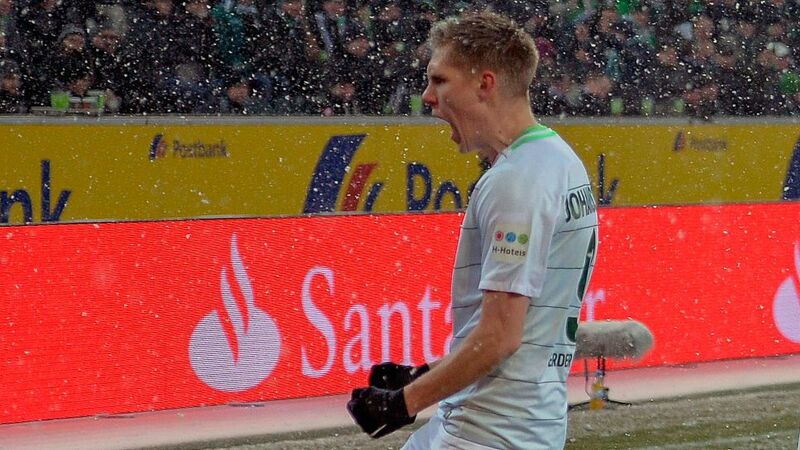 Werder Bremen striker Aron Johannsson has asserted his desire to return to the USA national team in the wake of his sensational recent club form. The 27-year-old came off the bench on Friday to net the equaliser - ending a run of 15 league games without scoring - as his side fought back from two goals down to salvage a 2-2 draw away to Borussia Mönchengladbach. "The biggest thing for me in football is to play for and represent my country so I hope I can continue to get some minutes on the pitch and to score some goals," the Alabma native, who has hit the net four times in 19 senior international appearances for the USA, told bundesliga.com after the final whistle. "In the end, I hope to play for the national team again." "I'm so glad that we got ourselves back into the game," he continued. "I had already had two good chances, so I'm really pleased I managed to put the third away." It is not the first time Johannsson has proved crucial to Bremen's cause recently. Just last week he came on as an 84th-minute substitute and created the winner in a vital 1-0 win against fellow strugglers Hamburg, with his shot forcing Rick van Drongelen into scoring an own goal. Prior to that he also came off the bench in the second half against Schalke on Matchday 21 and was directly involved in both goals as Bremen came from behind to seal an unlikely 2-1 victory. In total, Johannsson has provided two goals and two assists in his last six games for Bremen, having also found the target in the DFB Cup against Bayer Leverkusen in February. The return to form comes as a timely boost for the striker, who has been restricted to just nine Bundesliga outings this season due to a series of knee, calf and muscular injuries. His contributions have helped breathe new life into Bremen's season, and lifted them up the table away from the automatic relegation places. Click here for more Werder Bremen news, views and features!